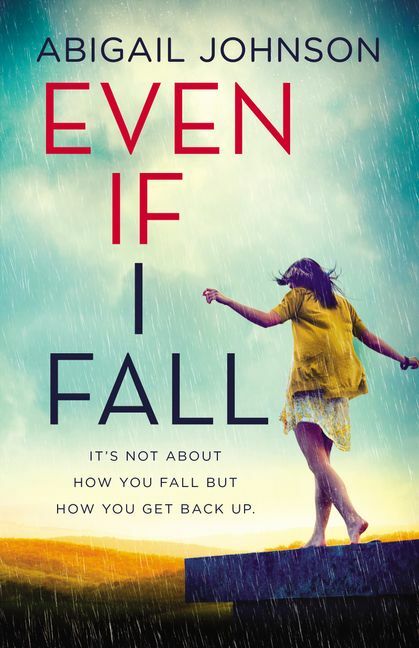 Don't miss this deeply emotional, romantic and layered novel from Abigail Johnson, whose stories have been described as 'smart', 'heartfelt', 'genuine' and 'complex'. A year ago, Brooke Covington lost everything when her beloved older brother, Jason, confessed to the murder of his best friend, Calvin. Brooke and her family became social pariahs, broken and unable to console one another. Brooke's only solace remains the ice-skating rink, where she works but no longer lets herself dream about a future skating professionally. When Brooke encounters Calvin's younger brother, Heath, on the side of the road and offers him a ride, everything changes. She needs someone to talk to...and so does Heath. No one else understands what it's like. Her brother, alive but gone; his brother, dead but everywhere. Soon, they're meeting in secret, despite knowing that both families would be horrified if they found out. In the place of his anger and her guilt, something frighteningly tender begins to develop, drawing them ever closer together. But when a new secret comes out about the murder, Brooke has to choose whose pain she's willing to live with – her family's or Heath's. Because she can't heal one without hurting the other. Abigail Johnson was born in Pennsylvania. When she was twelve, her family traded in snowstorms for year-round summers and moved to Arizona. Abigail chronicled the entire road trip and has been writing ever since. She became a tetraplegic when she was seventeen, but hasn't let that stop her from bodysurfing in Mexico, writing and directing a high-school production of Cinderella, and publishing her first novel. Visit Abigail at abigailjohnsonbooks.com and on Twitter @AbigailsWriting.